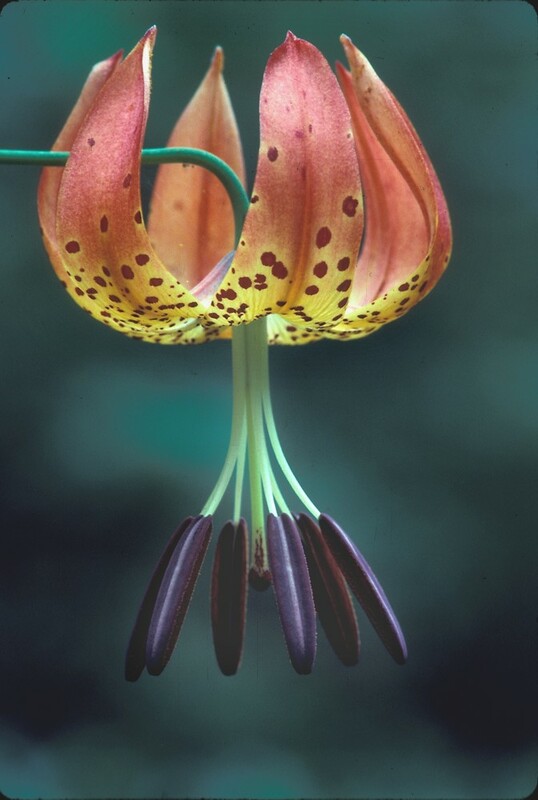 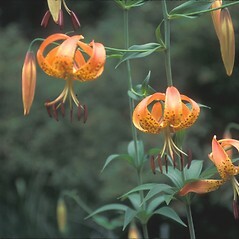 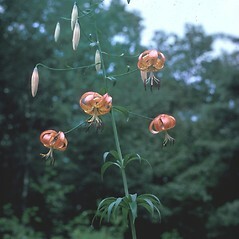 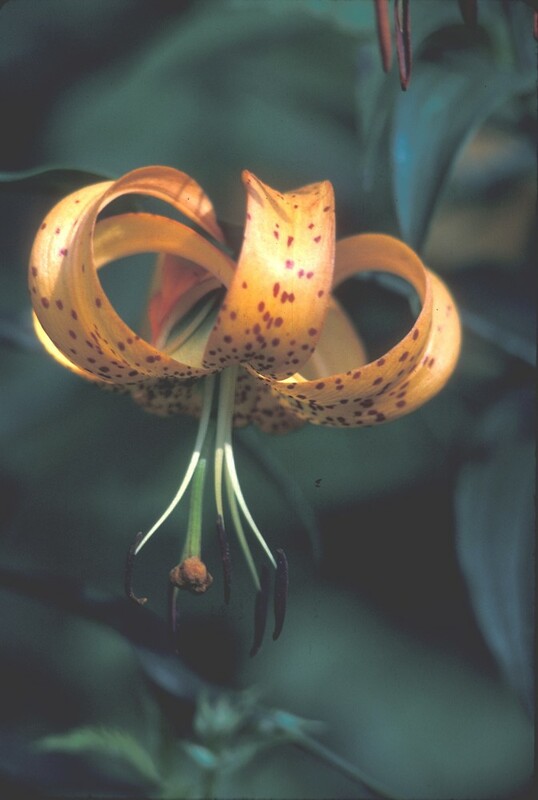 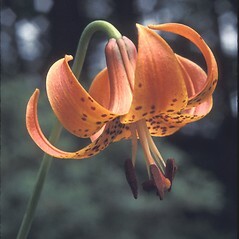 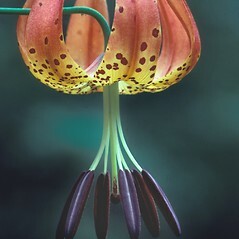 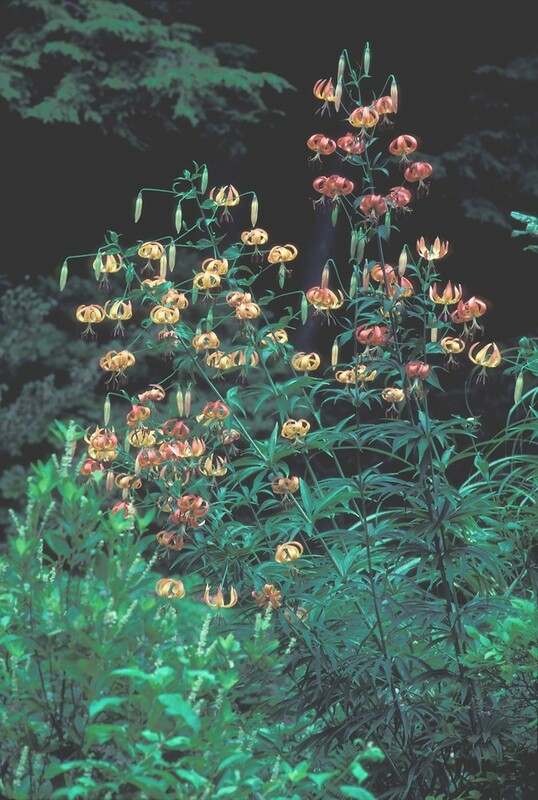 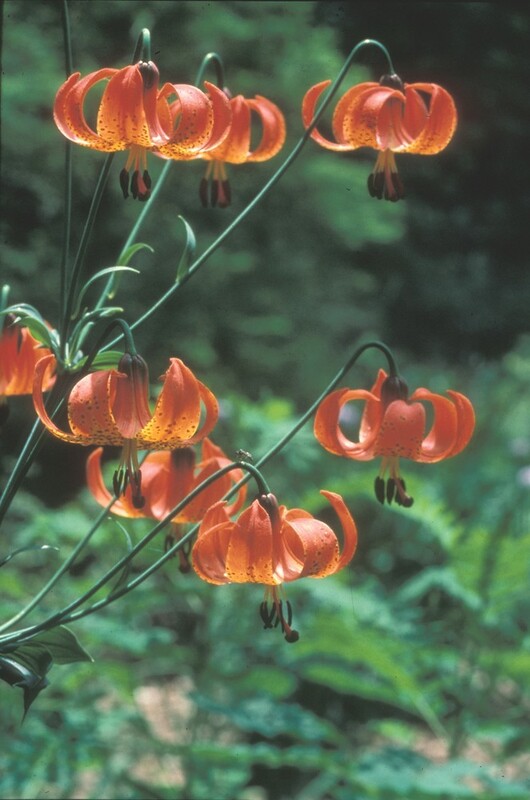 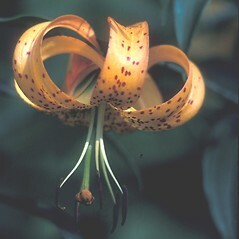 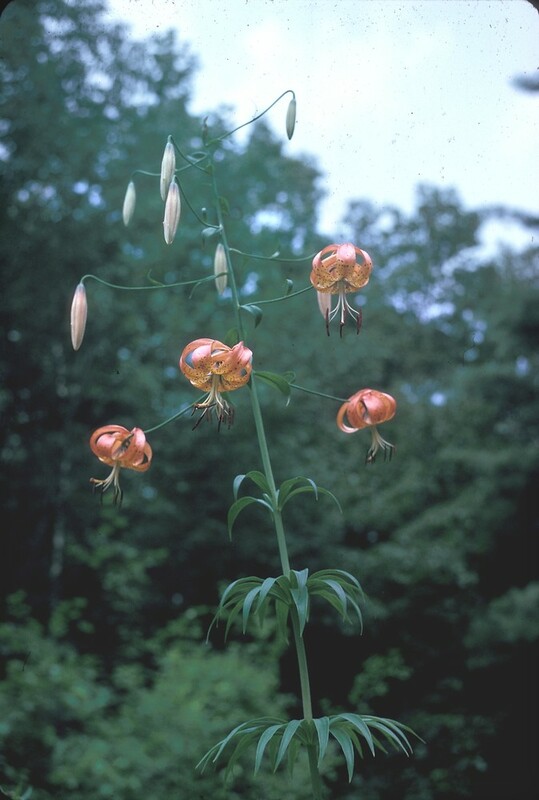 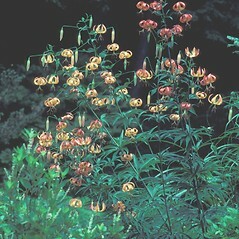 The spectacular Turk's-cap lily, the largest lily in northeastern North America, is pollinated by eastern tiger swallowtail (Papilio glaucus), one of the largest butterflies in New England. 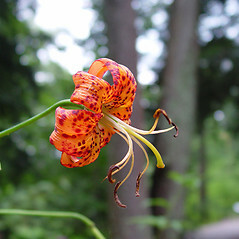 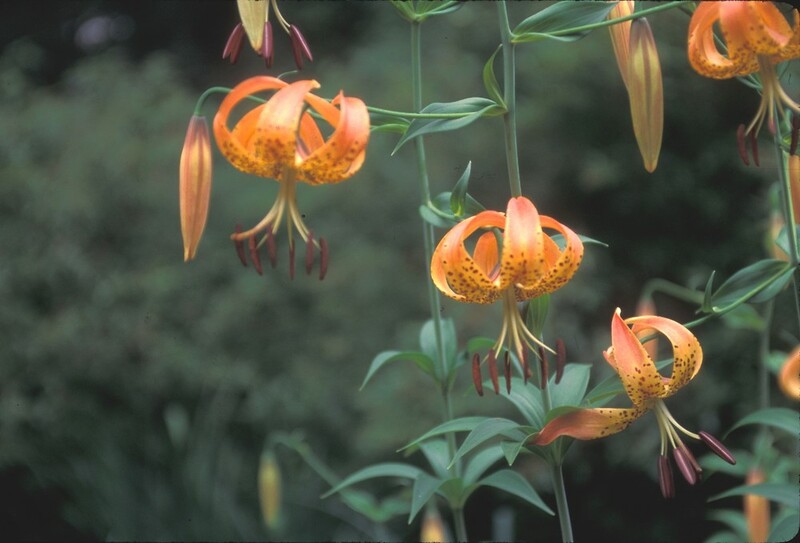 Though hybrid lilies are more typically grown as garden ornamentals, Turk's-cap lily is one native that is frequently cultivated. 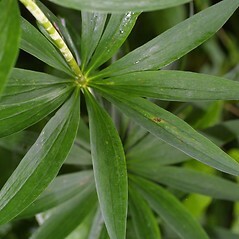 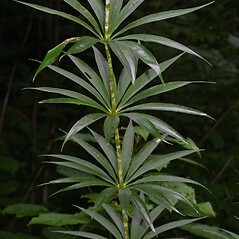 tepals slightly recurved and without ridges on outer surface and styles yellow to orange-yellow, colored like the tepals (vs. L. superbum, with tepals strongly recurved and ridged on outer surface and the styles green). 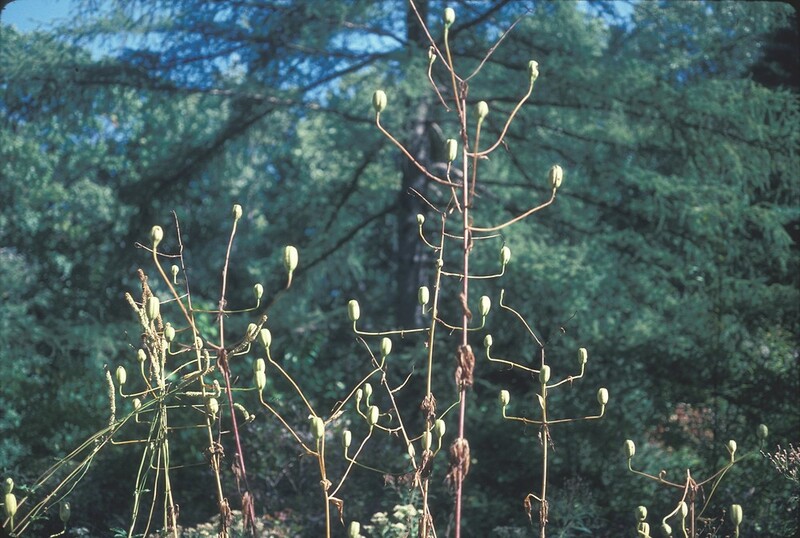 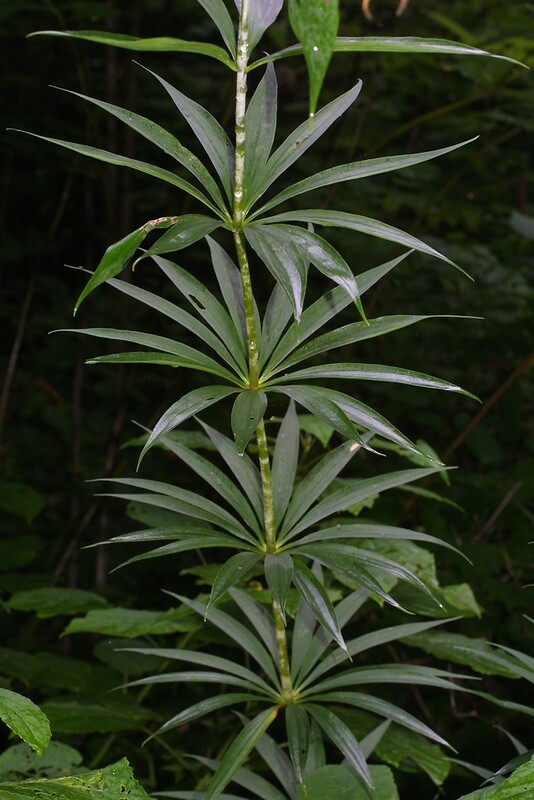 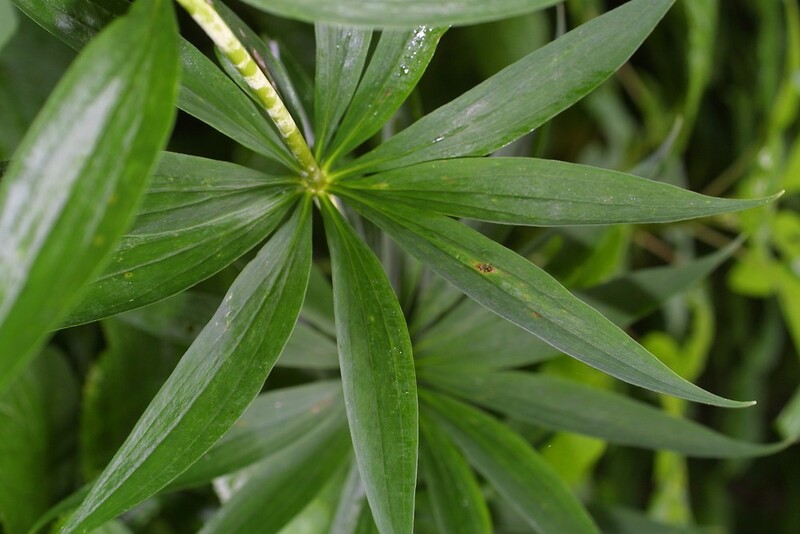 leaves alternate, with bulbils in the upper axils (vs. L. superbum, with leaves whorled, without axillary bulbils). 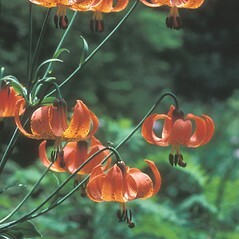 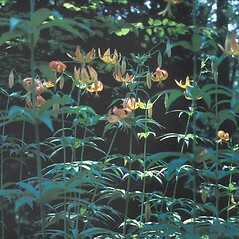 Turk’s-cap lily. 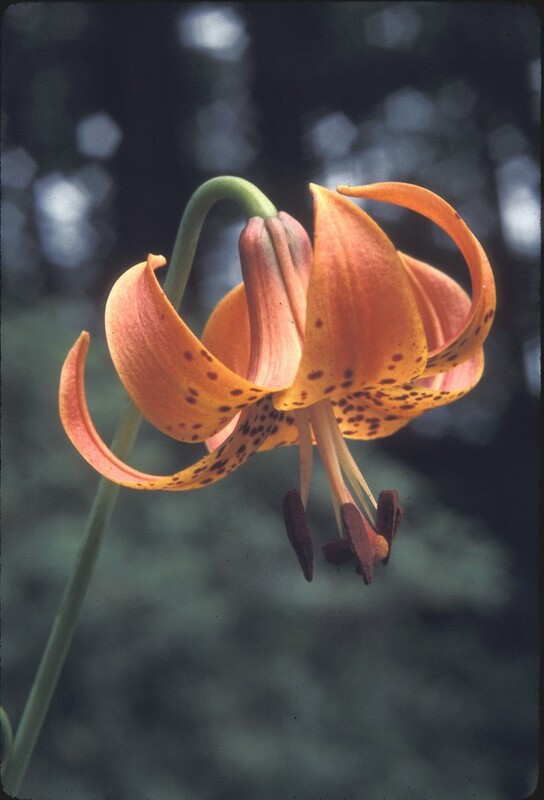 Lilium canadense L. ssp. 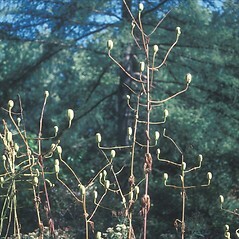 superbum (L.) Baker • CT, MA, NH, RI. 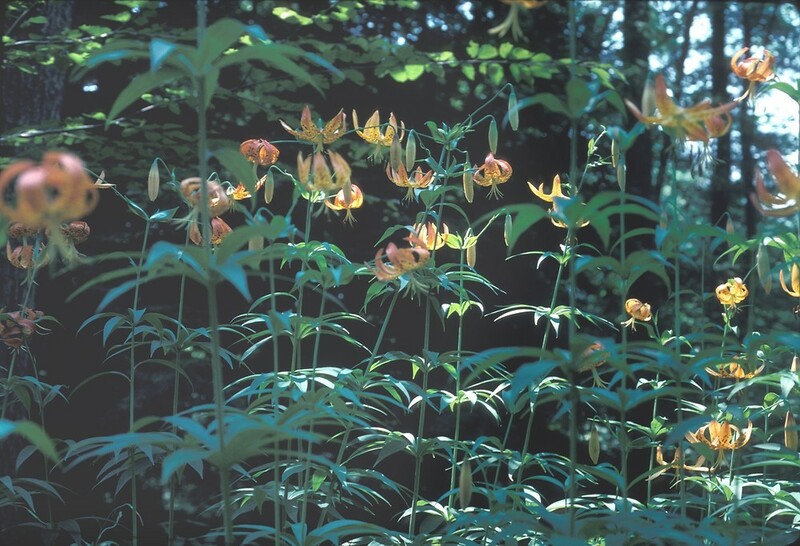 Forest openings and edges, thickets, borders of swamps, roadsides.